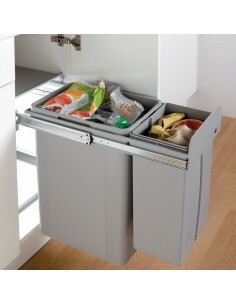 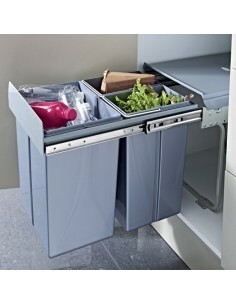 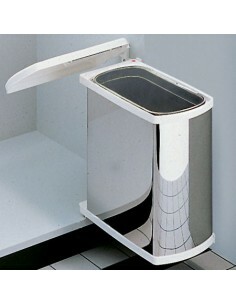 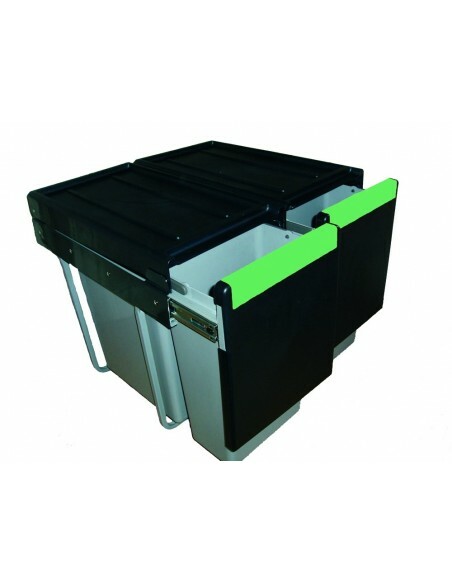 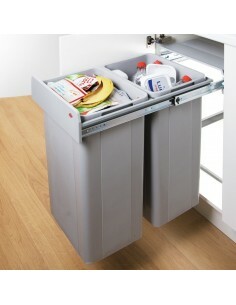 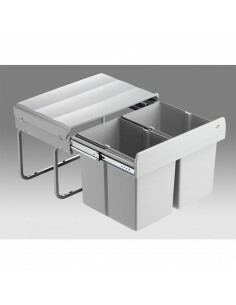 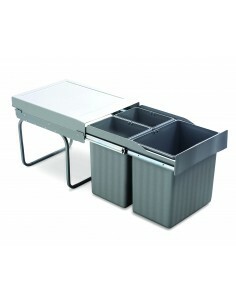 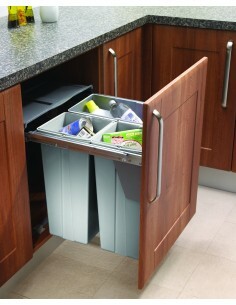 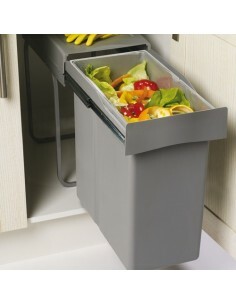 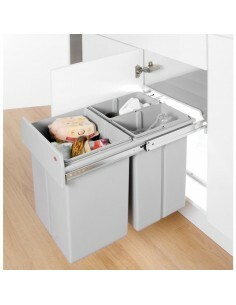 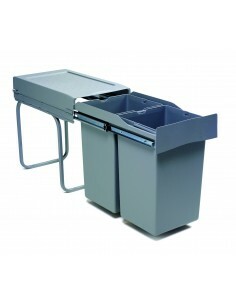 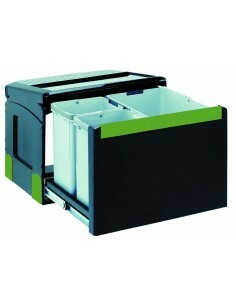 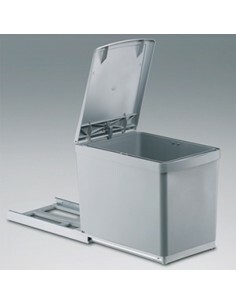 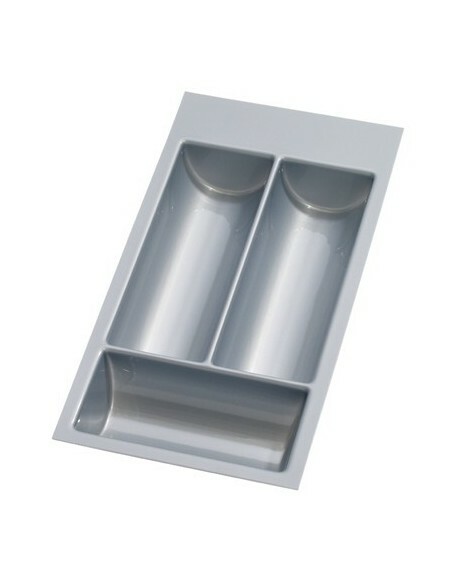 Hinged door bins are available for many different cabinet widths. 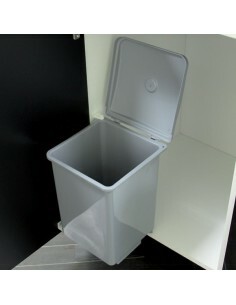 300mm, 400mm, 450mm, 500mm or 600mm. 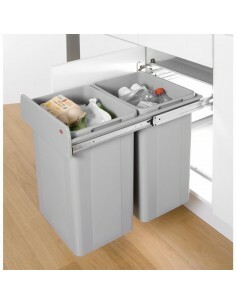 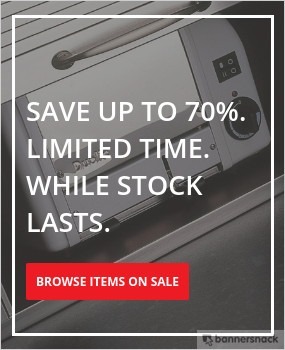 They usually contain a lid that stays in the cabinet whilst the bin is pulled out manually.